Take to the trails on this lightweight XC bike that has been designed to be fast as well as affordable. 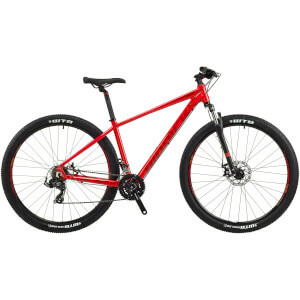 This model is equipped with many features usually found only on higher end bikes like internal cables, Tektro disc brakes and WTB tyres and saddle. Whatever your style, you will instantly feel at ease on the Riddick RD200. There are a few simple steps to complete after unboxing the bike - watch the video.